What I know for sure is this: after losing a loved one, what we might experience can vary widely—and the length of time grief lasts depends on many things. The relationship we shared with the one we lost—if we were close or we were estranged, if it was a member of our family, a friend or a pet—makes a difference. Whether we were prepared for the loss or it came suddenly makes a difference. We can also experience grief when a situation changes, like when someone we love moves away and they are no longer in our daily lives, or someone who was a dear friend for many years does something to lose our trust and we can no longer be with them. Although these are different kinds of grief, we may grieve, nonetheless. Losing a loved one is something all humans experience at one time or another. And, the older we get the more often it happens—that’s life. It doesn’t make it any easier, I’m afraid. I’ve come to understand something about my own grief. For me, it feels like it is love that no longer has a place to go. My first experience with losing a loved one happened when I was 13. My great aunt was like a nanny to us growing up. When she passed, it felt like there was an emptiness inside me where she used to be. As a teenager, it seemed like it took a very long time for that emptiness to fill in again. When I lost my mother, my best friend and confidante, the loss was tremendous. I felt numb and sad. It was all-consuming for a while. As though my support system was gone and I was a ship without an anchor. Finding something to anchor me again was hard. I found it in my brothers. Then, some years later, the loss of two of my three brothers within months of each other rocked my world. As the youngest of four and the only girl, my brothers watched over me and we helped each other through the loss of both parents. This one still feels raw. In each case, I felt like I was filled with so much love for the ones I’ve lost, and it had nowhere to go. I had to learn to channel the grief. After losing a loved one it may feel like a roller coaster ride of emotions. You might feel numbness like I felt after losing my mother. Or, you may be in denial. Disbelief was something I felt at the sudden loss of one brother, then another. Fear and anxiety may set in if you’ve lost someone who took care of many things in your life. You may feel angry that you’ve been left behind to handle everything on your own. You may feel overwhelmed by the emotions as they come in waves. At these times it may feel like you are not handling it well due to these wild swings of emotion. The best thing to do when this happens is to acknowledge what you’re feeling—and find ways to ease the burden. Creating a new normal is a process—of discovery. First, I believe it takes accepting that the loss has happened and putting some distance between you and your loss. Some say time heals all wounds. I say time helps us to learn to live without the ones we’ve lost and create a life that is different and fulfilling in a new way. These major life events can change us profoundly—for the better if we allow it. Over the years, I have found some things that helped me through all of my losses. They even helped with the loss of several beloved pets, dear friends and the loss of a good friend whom I could no longer trust. Surround yourself with people you love and trust. Talk with them about the emotions you feel. Allow them to lighten your burden by accepting their help. Be gentle with yourself. When you need to cry—cry. Let the wave of emotion go through you so you can release it, each and every time it happens. Forgive yourself for what you wish you could have said but didn’t have the opportunity. Make self-care a priority. Eat well. Get enough rest—take naps and sleep when you’re tired. Take walks in nature or walk your dog—exercise of any kind will help to relieve stress. Participate in relaxation techniques such as deep breathing or listening to guided meditations. Taking care of you will ensure that you are ready when it’s time to move forward. 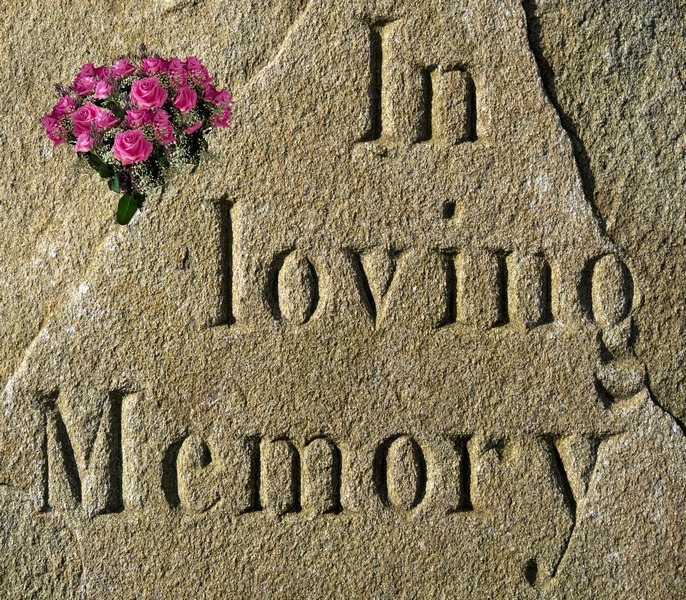 Write about your loss of a loved one. This could be in a private journal or in a forum you share with others. Writing about the emotions you experience and the blessings you received from the person you lost can be cathartic and can help others in the process. Honor their life and your memories. Talk about all the times you shared—the good ones, for sure, and even the trials. Find your favorite picture and put it in a special frame to sit in a place of prominence. Plant a tree in their honor and sit by it or under it and have a chat. This is my favorite thing to do. I have planted trees in my back yard for both my mother and father. I talk with them all the time (don’t judge) and let them know all the things that are happening in my life—good, bad or indifferent. I feel closer to them every time I do. Coping with losing a loved one is one of the most difficult and challenging things we have to do in this human life of ours. We can choose to wallow in the grief and allow ourselves to stay stuck there, or we can give it some time to let the new reality sink in and then move forward to create our next chapter. One or more of these five ideas may help you to move on with more ease and grace. And, there’s one more thing that helped me. It’s a quote I read somewhere on social media that hit home for me. María Tomás-Keegan is a certified Career and Life Coach for Women, and founder of Transition & Thrive with María. When life events flip the world upside down, she guides women to turn chaos into calm, so they can clear their heads, step into their power and live life on their own terms. If you’re ready to explore new possibilities with an open heart, get 5 Simple Choices to Get You Back on Track now. Check out María’s latest book, Upside Down to Right Side Up: Turning Transition into Triumph. The Book and its Companion Journal are available on Amazon.